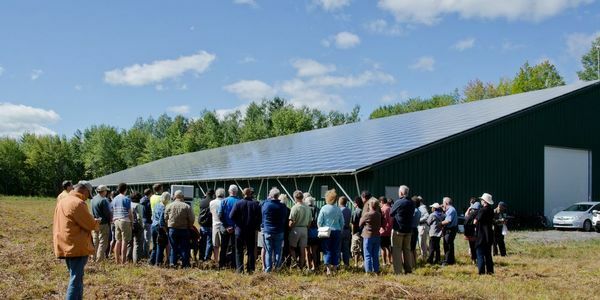 As distributed energy becomes increasingly widespread, it offers the opportunity to both drive and react to various changes in democratic systems, the policies within them, and broader society as a whole. Dr. Marie Clare Brisbois and her team, based out of Utrecht University, have been documenting and analyzing these political shifts through the POWERSHIFTS Project. Dr. Brisbois has graciously offered to provide a presentation on the work of the POWERSHIFT project, and what the work of groups like the Ottawa Renewable Energy Co-op could mean within this shifting landscape. Please note that lunch will not be provided, but you are welcome to bring a lunch of your own. 7 min. walk from the Bayview Transitway station a 4 min. walk from the Tom Brown Arena 16 & 95 bus stop, and a 1 min. walk from Somerset & Wellington St. W 11 bus stop. All street parking is free but may involve a little bit of searching. This is not a wheelchair accessible space. We apologize for any inconvenience.